If you would like to book accommodation on Friday 10 May there is a preferred rate available at the Holiday Inn - Oxford Circus. The rate is £180.00 (inc. VAT) which includes bed and breakfast . You will be able to cancel this room up to 24 hours prior to arrival. To book please phone 020 7935 4442 and ask to speak to Martin Lee. Please then reference the Shine Connect meeting taking place at the King's Fund - This information is what will secure the preferred rate. Holiday Inn - Oxford Circus hotel is a five minutes' walk from Bond Street Tube station. 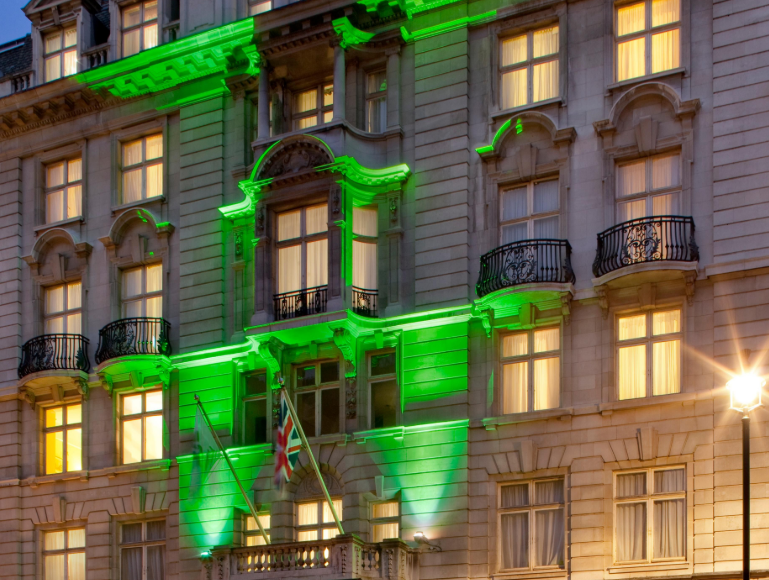 The Holiday Inn - Oxford Circus is also a very short walk away from the King's Fund. Please see the map below for directions. Please note, you may be able to get a cheaper rate by going on their website.